Who Likes to Be Pitched, Anyway? Every it’s unceasing, email pitches from people who don’t know me. If you’re a blogger who has any following, I think you’re aware of what I’m talking about. If you’re just starting, you’ll be there soon. Some of them are ludicrous and amazing. I’m thinking of the one that was filled with baby bottles, squeeze toys and pacifiers — three things never mentioned on this blog in its five year history. is not in a position to get such things in his or her own inbox regularly. I bet you might have a few other ideas about people sending “pitches” to you. The problem with a “pitch” is that it sets up the scenario of a pitch. Think about that. A pitch starts the play, which means that other people have to be in the game. If Roger Clemens, one of the best pitchers in American baseball, winds up and throws a baseball in a field of cows can we call that a valid pitch? My guess is that Roger Clemens never threw a major league pitch without knowing who he was pitching to and what sort of pitch it would be. His job was to get to the win. 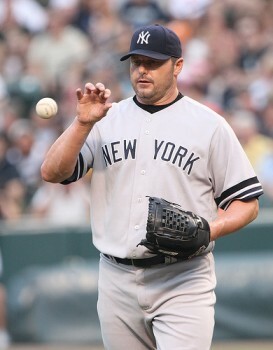 My guess is that Roger Clemens approaches business in an entirely different way. In baseball, the pitcher’s role is singular and focused. He throws something in such a way that another person needs to respnd – to catch it or hit it back. The pitcher’s job is to move that ball in such a way that it helps his team win the game. Helping the guy at bat hit out of the park would be counter to his role, his goal, and his objective as the pitcher of a great baseball team. That sort of thinking seems to have invaded the way people pitch ideas and it’s counter-productive to building business. Business has one compelling difference. Great businesses WANT the people they’re pitching — clients, partners, employees –to hit it out of the park every time. So rather than thinking in terms of a pitch, why not think in terms of an offer? Here’s how changing a pitch to an offer makes it more powerful, more compelling, and more likely to succeed. An offer makes us think about the people we’re about to approach. The pitcher faces a “batter” from another team. The pitcher can’t pick the next batter. A business person can choose will receive the next offer. An offer helps us realize that we don’t have to present the same deal to every person we meet. A great pitcher changes up his pitch to match the batter and the conditions of the game. Great business people take that one step further. They decide who gets their best offer by also thinking about what a future relationship might mean. An offer keeps us aware that the people approach can accept or reject what we have to say. The pitcher’s job is to get the batter to swing even at the most undesirable pitch. A great business person finds a way to make an offer that aligns the goals so that both teams come out ahead. A business wants a relationship that leads to a deal. The best deals grow everyone’s business. The worst pitches ignore that simple principle. I’m sure you can think of other ways that thinking offer gets us to a better approach to a deal than thinking pitch ever could. Make me an offer. Persuade me how it works for me while it’s helping you. You’ll get my attention far faster than you might expect. BTW, I wrote the person who pitched the pacifiers a quick note to say that my son graduate college in 2007. What do you think is the essential difference between a pitch and an offer? The entrepreneurs and brand managers I work with both often start by asking how to use the social web. Their goal is to promote their business or their brand. The worry that seems consistently common in every first question is that they appear professional and helpful. No one wants to appear to be too aggressive in social web space. When the wrong kind of promotion comes our way, it feels like we’re not being seen as people, but more like prey. 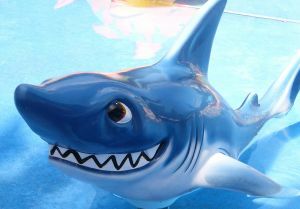 Who wants to do business with someone that comes at us like a shark? No one in a marketing or sales role wants to be perceived like that. I’ve found that the key to elegant and authentic promotion is being fully present in the conversation. Too often we start talking before we listen. Too often we haven’t fully considered what brought us to be interacting. Knowing who we are, what we offer, and how it fits our reader-customers before we even start a conversation can make promoting a blog, a business, or a brand as seamless as talking to a friend about how our day went. These questions can get us to that information. Are you truly passionate and excited about it? If not, go find out how you can be. Be clear on what drives you. Can you articulate that passion and excitement? What words explain why you are willing to invest the time of your life building that blog, business, or brand? Be able to tell the story that connects you to what you’re sharing. People will identify with that. Can you name and claim what you offer so that folks can attribute it you? Can you explain how your blog, your brand, or your business will change people’s lives in a clear and specifically good way? Give that a name so that the idea stick. Draw a picture with words and name that. Become the person who is the only one who provides that. Do you call folks to action and offer them an easy way to talk about what you’re building? Can you show them how joining you will make what they do easier, faster, and more meaningful? If you don’t tell folks how to join, be a part, they could think you don’t want them to. Gotta invite them. Do you invite people offer their experience? Do you ask folks how you might reach more people who could benefit from your brand, your book, or your product? If they offer suggestions, do you follow through? Do you ask people to talk about you? Do you give them ways they might do that, ways that make them feel proud for helping you? Not every questions fits into every conversation. The thing is that when we know ourselves, our business goals, how to partner and how to extend an irresistible offer, promotion gets to be as passionately authentic as the other parts of the work we do. How do you make sure that your promotion is authentically you?